The Internet Course is rolling right along, and I’m enjoying this class tremendously. And it doesn’t hurt that the students’ blogging has become a late night rabbit hole for me. Last week Jessi Clark turned me onto an early 1980s Canadian kids’ show about technology called Bits and Bytes. More recently she blogged about the final episode of the Bits and Bytes series titled “What’s Next?” (embedded above). It’s a little under 30 minutes, and proves to be a fascinating window into the world of computing in the early 1980s. A horizon report for the future of computing, and the list is really wild in retrospect. As Martin Weller noted on Twitter the other day, what will the MOOC predictions look like to us thirty years later? I recommend watching the video, but knowing time and energy is short on the internets, let me take you through it really quickly below as a kind of teaser. 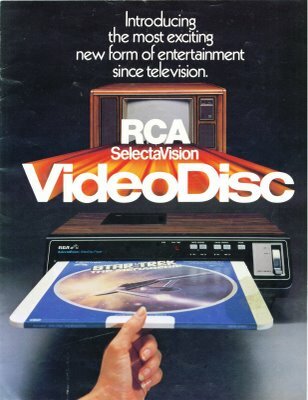 First up, the future is all about the Videodisc! Those lovable laserdiscs that I have a modest collection of in my basement—although the rest of the world has all but forgotten them. The highlight of this section of the episode was how the episode framed videodiscs as a great way to provide learning modules for training. The approach being showcased seemed somehow modern in some really depressing ways. After that, at about 6:30, the episode transitions to the computer as a communication device, discussing the modem as a means of sharing information. What’s interesting is that communication with the modem was still very much conceptualized as unilateral. There was no mention of email, but rather the discussion focused on teletext and videotext technologies. 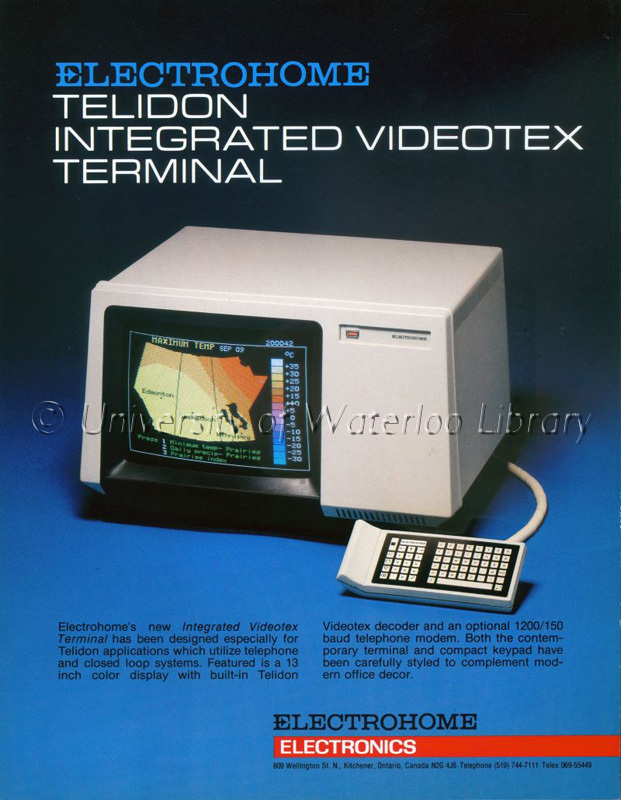 They featured one in particualr, called Telidon, which was imagined as a means of marrying the computer and television to present “interactive” information in a graphical form. The graphcis are wild, and in many ways it was a very early vision of interactive digital signage. So cool. Around 13 minutes in Adele Goldberg discusses Smalltalk, the programming language developed at Xerox PARC during the 1970s that introduced the first true object-oriented programming language. And it came out of ARPA funded research, which it’s hard to deny defined much of the modern world of computing. After that the episode talks about Pilot, what is described as an overhead projector for graphics/doodling. What we might think fo as an early smartboard. There’s also a whole segment on music finger painting by an awesome professor who is entranced by the idea of using these digital technologies to bridge the gap between sound and vision. So cool. Finally, the last couple of minutes of the episode are dedicated to talking to teachers and administrators in various Ontario area schools about the future of computers in education. It’s truly amazing how similar the fault lines in 1983 are to those in 2014. The transformative power of comptuers to augment the classroom versus there presence as a distraction. It’s really sobering to hear just how controlled the narrative around comuters and eduation has been for more than three decades. This entry was posted in The Internet Course and tagged Bits and Bytes, tic104, vidoe, YouTube. Bookmark the permalink.